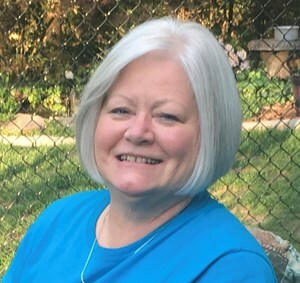 Katherine Greene, age 71, passed away in the early morning on March 22, 2019 at St. Joseph’s Hospital in Syracuse New York. She was born in Sproul, PA on January 15, 1948. She was preceded in death by her father, Jack H. Greene, and mother Marge Greene. Katie is survived by her sister, Amy (Hugh) Crinnin; children, Paul (Lori) Schaff and Keira Schaff; grandchildren Abbey Schaff, Maggie Schaff, and Mustafa Schaff. In addition, she is survived by her nephew Bret (Tina) Crinnin and their two boys Casey and Colin. Katie was a very dedicated woman who enjoyed quilting. Her legacy will live on through her children and loved ones as well as all the quilts she created with love. -behind a veil you cannot see through. -both aware of each other. Add your memories to the guest book of Katherine Greene. My memory is Katie's determination to make it to the 50th Reunion at our high school! I did not end up getting there but Katie did! So happy that it was possible. We shared the link of both having had cancer, either dealing with it at that time or in my case, not presently (had stage 4 breast cancer & so far so good). I admired her cheerfulness and absolutely can-do attitude when emails were going on about preparation for the 50th Reunion. Katie is and always will be a shining star! When I walk the annual Cancer Walk here in Vermont this June this year I will walk for Katie.